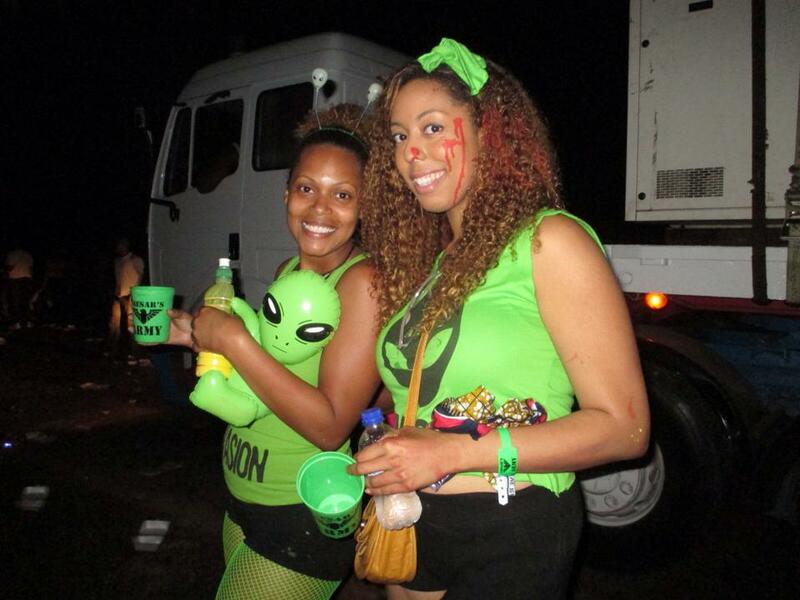 I got into Trinidad on Friday night and it was non-stop fun from the moment I arrived. 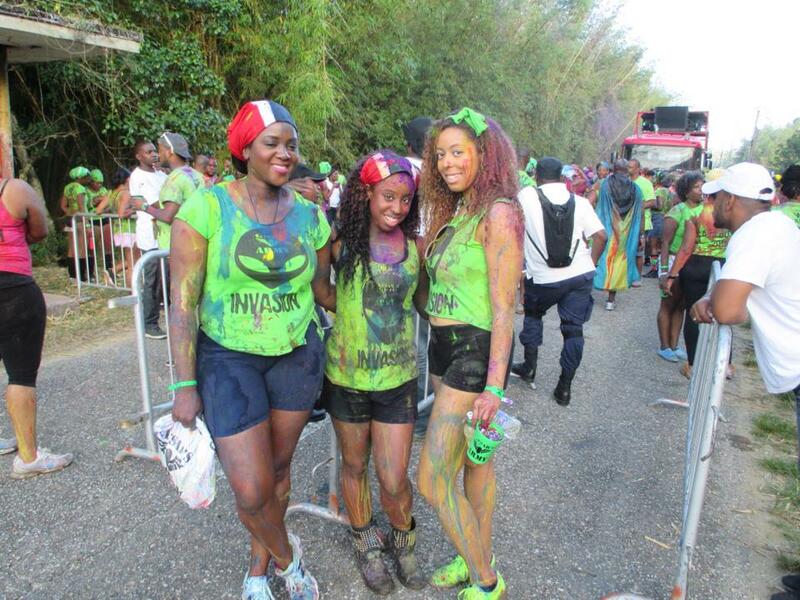 Since my flight got in pretty late, as soon as I arrived to TheStyleAndBeautyDoctor‘s grandmothers house, we had to get ready for Caesar’s Army A.M. Bush Jouvert which is an alternative to the traditional Jouvert that takes place before Carnival Monday. When you get a ticket for this, it also includes food and unlimited drinks! We arrived at the meeting point and there were shuttles to take us to the secret location. It was waayyy too many people and the shuttles weren’t coming fast enough so we all decided to walk in the dark and hoped it wasn’t a long walk. OMG when we arrived, it was a full on party in the woods!! 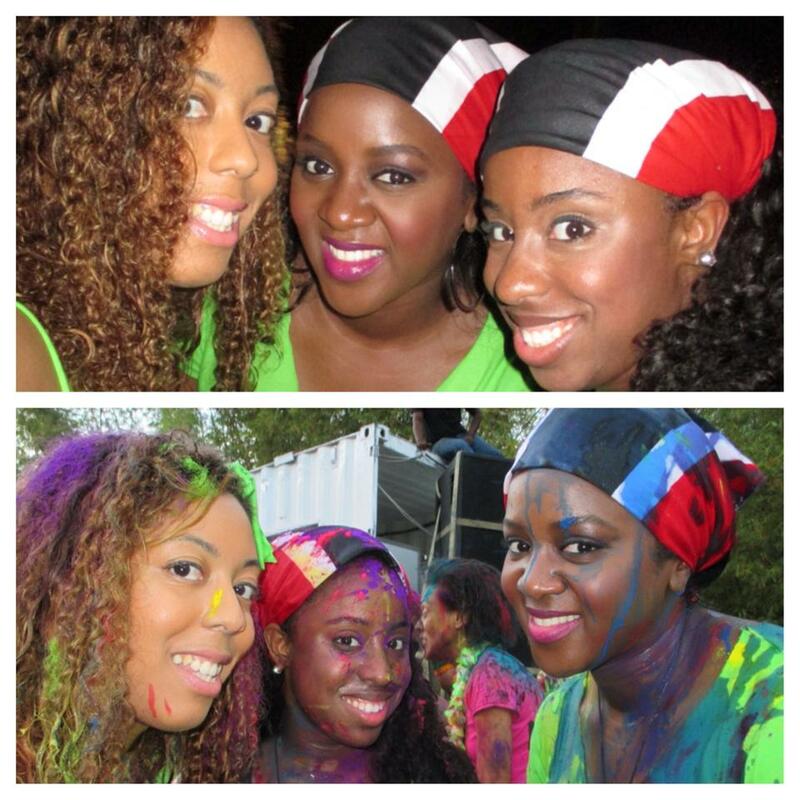 Hundreds of people were dancing, soca music was blasting, and the drinks were flowing. 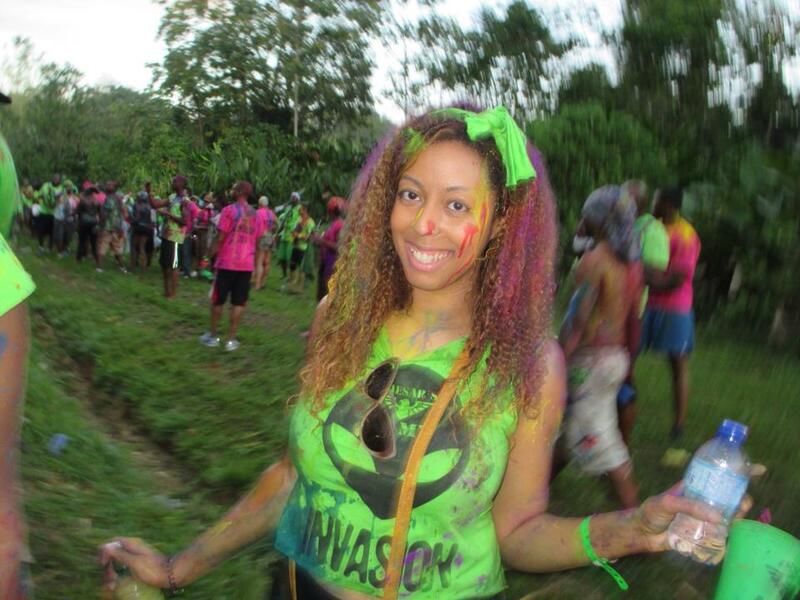 For Carnival, my friend Saundra gave me ALL the scoop on everything from the bands to jouvert bands to pretty much everything Carnival & Trinidad related. She was the one that told me how epic A.M. Bush was. When I got into the masses of people I thought, “There is no way I am going to find Saundra”. Well, she found me and greeted me by squirting paint on me. From 4am until 9am, we partied! At the end, the sun came out and this is what we looked like. I had about 4 different color paints and 3 different color powders in my hair! We had a great time! I didn’t get a chance to get my full money’s worth because I didn’t drink much. As soon as I got my first drink and people squirted paint all over me, I had paint in my cup immediately and didn’t want to drink out of it anymore even though a random person told me to drink out of it anyway! lol. I had so much fun as you can tell in this pic. It was hundreds of people from all over. Even met some people who follow me on social media and that read my blog! 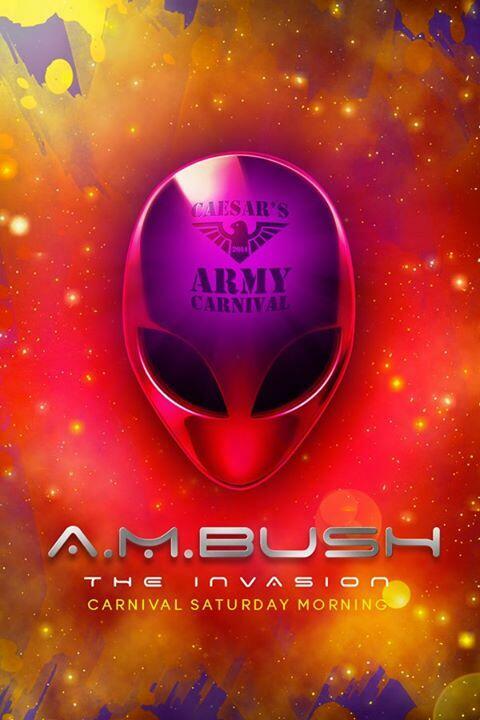 If I come back for Carnival, I will definitely go to A.M. Bush again! It was great times! After that, I had to pick up my costume for Carnival Tuesday so I didn’t go to sleep until 5pm…and I had been awake since 8am the day before!! Thanks Caeser’s Army for a great time! I am now preparing for Carnival Monday and Carnival Tuesday! Make sure to follow me on social media to find out how everything looked! BTW, my costume looks AMAZING. I can’t wait to wear it. Kim Kardashian Trying Out Hairfinity Now! ?